This is the sixth post in a series of writings to discuss issues facing Information Technology (IT) departments. If you have not read any of the first five challenges you can find them under project work vs production support, prioritizing work, operations vs innovation, estimating work and understanding complexity. The Information Technology group of a company shows up in the financial statements under the general and administrative costs of the SG&A section. Management teams want to keep their costs in alignment with revenue and have target percentages for total costs as a ratio of revenue. 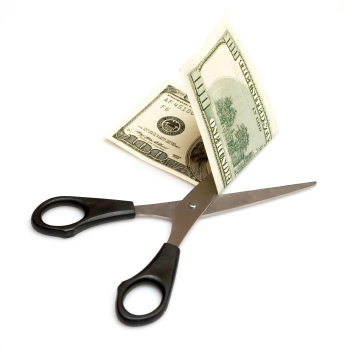 Budget cuts, expense deferrals, and lay-offs are all activities associated with managing costs. The biggest percentage of the IT budget is labor and the two most common ways of controlling labor costs are through shared services and offshoring. Shared services is a method to remove redundancy in staffing. So two IT groups may be combined into a single IT group that provides services to multiple locations. Presumably some staff are eliminated because their job functions are redundant. 1. Enable automation that reduces operating costs – Leaders in other areas of the business often look to IT to automate processes that require manual work or to automate repetitive processes in their area so they are completed faster. Not unlike offshoring or shared services, the other areas of the business are really looking to reduce their own labor costs. 2. Enable new revenue – IT shops may create software that is sold as a product or software that is used as a service to facilitate sales (eCommerce). IT managers want to show that the revenue generated by their work exceeds the costs to create the work. Make no mistake, the battle to contain costs is constant. It’s an everyday battle for IT managers. The most effective IT managers change the mindset of their organizations to think of IT in terms of revenue enhancement and automation. If IT is simply a number on a financial statement then the business doesn’t recognize the value that IT creates to offset this number. That’s a dangerous place to be because you can’t cut your way to growth and prosperity.